When it comes to insulating your home, you’ve probably heard about plenty of different methods. But it can be overwhelming to know which type is the best for your home, so we’ve broken it down into your 5 available options, with pros and cons for each. Before you consider the kind of insulation, you’ll want to make sure you know how much insulation you’ll need, and it’s best to start by determining what R-value is recommended for your area. R-value is the maximum thermal performance needed to keep your home warm in winter and cool in summer. It measures insulation’s ability to resist heat traveling through it. The higher the R-Value, the better the thermal performance of the insulation and the less energy you’ll waste heating and cooling your home. Recommended R-Values vary depending on climate and location. For example, if you live in Florida, the recommended R-Value for an uninsulated attic ranges from R30 to R49. But if you live in Maine, insulation for an uninsulated attic should have an R-Value in the R49 to R60 range. The federal ENERGY STAR program has published this handy chart to make it easy to determine what R-Values you should aim for when you insulate. You also need to consider where you need to add insulation. If it’s for a wall in a home that’s already built, you’ll most likely need blow-in insulation. If it’s for an existing attic or crawl space, you may be able to use blanket or foam board insulation. If you need to insulate around pipes and wires, blown-in insulation might be best. 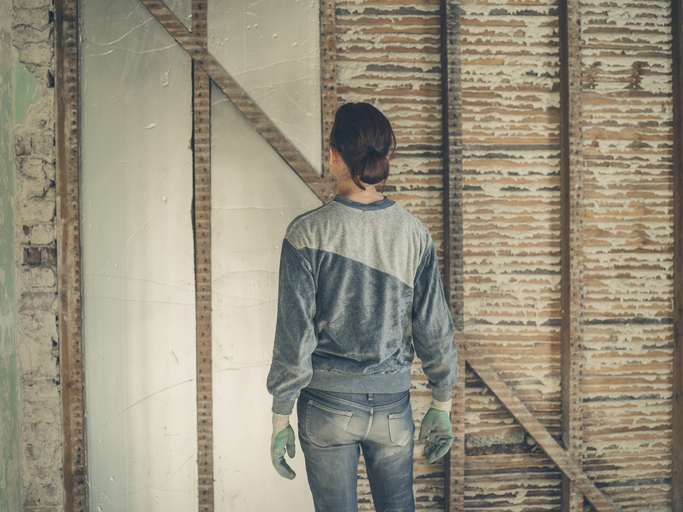 For unfinished walls, floors, and ceilings, the U.S. Department of Energy recommends the following five types of insulation because they can be fitted between studs, joists, and beams. Here are their recommendations, including the pros and cons of each. Blanket batts and rolls – Blankets or rolls of insulation can be made of fiberglass, mineral wool, plastic fibers, and natural fibers—like cotton or sheep’s wool. This type of insulation comes with or without facing, but facing made of kraft paper or foil-kraft paper is desirable since it acts as a vapor barrier. You can also get batts with flame-resistant facing if the insulation will be left exposed, as in a basement. Pro: Fiberglass blankets and batts are very easily available and can be installed in ceilings, unfinished floors, attic spaces, and crawl spaces. Con: Fiberglass blankets and batts have an R-value between R-2.9 and R-3.8 per inch of thickness, so you may need to add 10-12 inches of insulation to achieve the right amount of insulation. 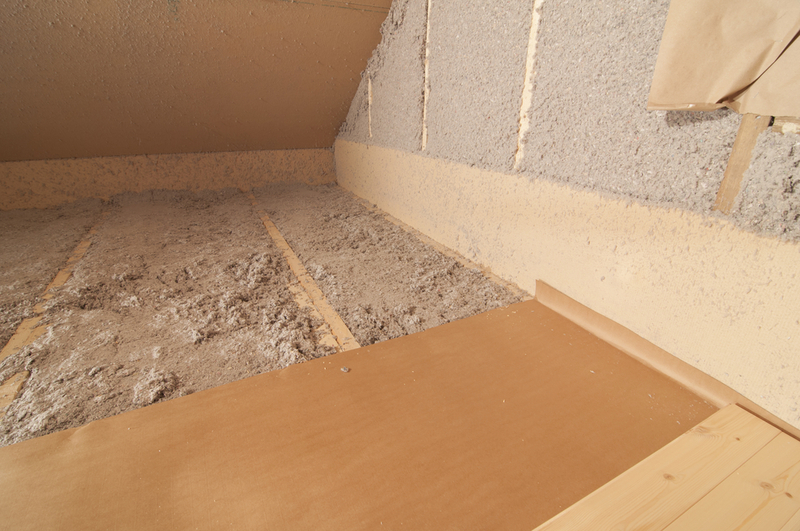 If you’re insulating an attic or crawl space that’s already been built, you’ll need plenty of room for installation. Concrete blocks – These are used to build foundations and walls. If the cores don’t need to be filled with steel and concrete to support the structure, they can be filled with insulation to increase the wall’s R-Value. Pro: Insulated concrete blocks take advantage of building materials used in creating the foundation to add an extra layer of insulation to the home. Con: Insulated concrete blocks don’t actually improve insulation that much because heat can still pass through the un-insulated concrete. 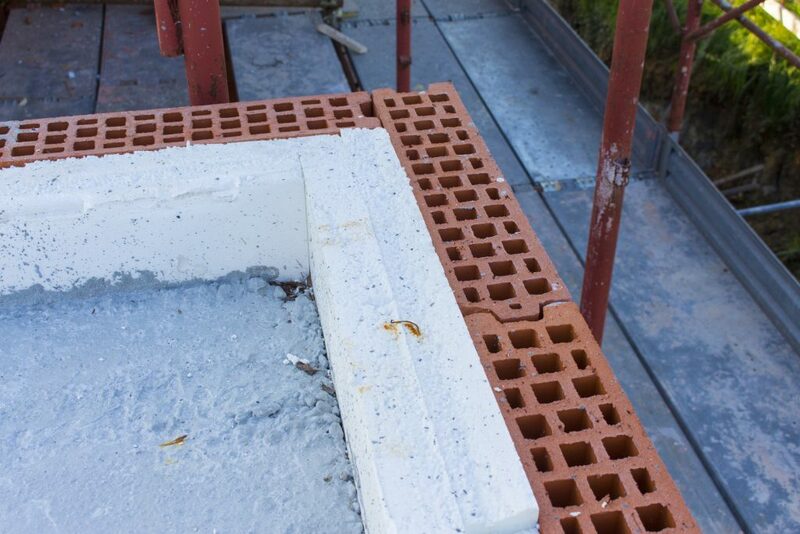 For maximum insulation, you should still install insulation over the surface of the blocks either on the exterior or interior of the foundation walls. Concrete blocks are better suited to new construction or a major addition. 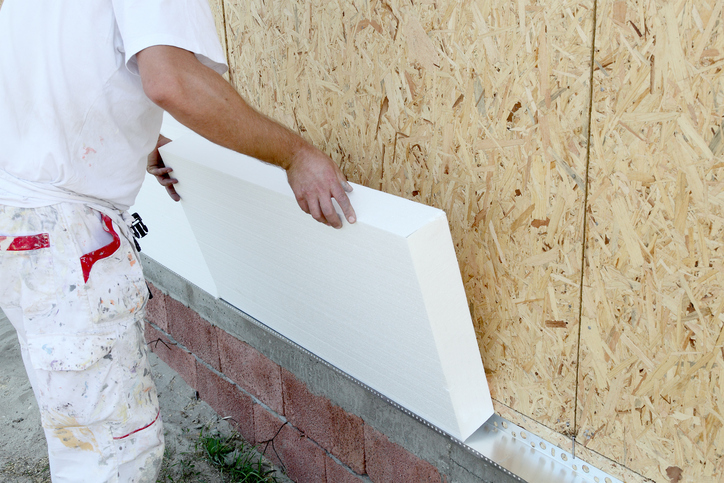 Rigid Foam or Foam Board – These rigid panels of insulation can be used on almost any part of the home, from the roof to the foundation. Pro: They offer higher R-Values than other insulating materials of the same thickness, and they’re easy to work with. Con: You can’t use rigid foam or foam board to insulate existing walls until you knock the wall down, install the board, and then re-drywall and paint. Loose-Fill and Blown-In Insulation – This type of insulation is made up of small particles of fiber, foam, or other materials. It’s blown into spaces so it can be used for walls, ceilings, attics, and crawl spaces without much disruption. Pro: It’s environmentally friendly, since it’s made using recycled waste materials. This can could include cellulose made from recycled newsprint; fiberglass, which contains 20% to 30% recycled glass; and mineral wool, which is usually derived from 75% post-industrial recycled content. Con: You’ll need to thoroughly air seal and instal soffit venting if needed. If you’re blowing cellulose over existing fiberglass, you may need to cut and refit poorly laid batts and insulate plumbing first. 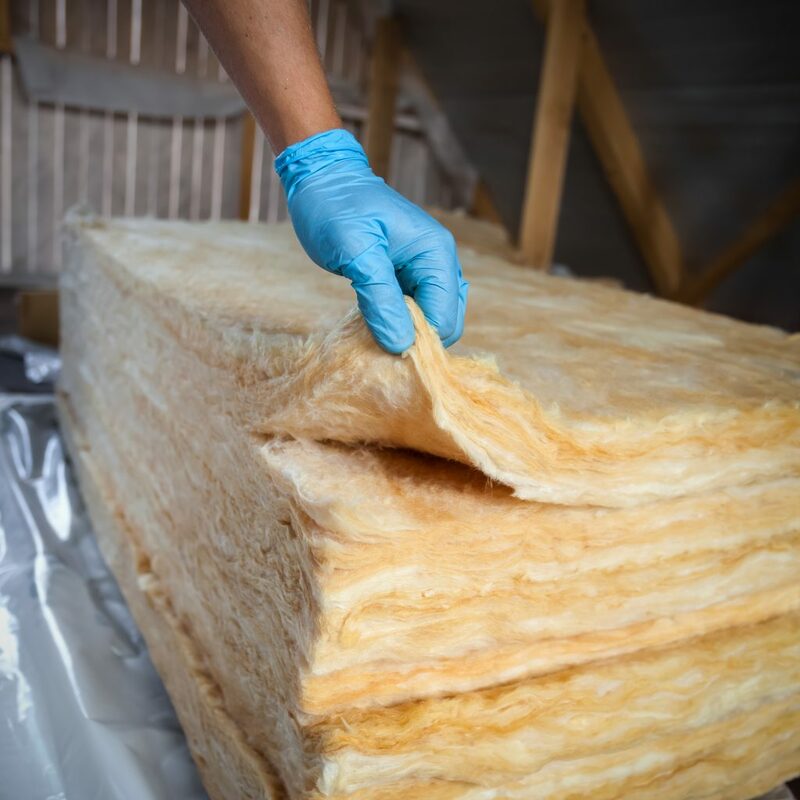 Blown-in insulation can succumb to mold and rot if it comes in contact with a lot of moisture over an extended period of —which is why it’s important to ensure the area is sealed before blowing. And unlike fiberglass batts—which you can install yourself with proper precautions, cellulose must be blow in by a professional. 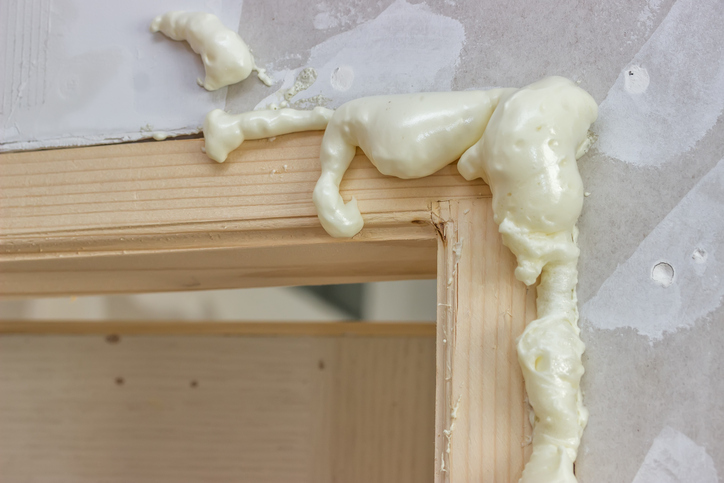 Sprayed-Foam and Foamed-in-Place Insulation – Liquid foam insulation is sprayed where it is needed, then hardens into an effective insulation material. It can be blown into walls, onto attic surfaces, below a roof, or under floors. Pro: Sprayed foam insulation can be twice as insulating as batt insulation. It can fill small cavities to reduce more air leakage. Homeowners can spray foam insulation around pipes, wires, and window and door frames to insulate even more. Con: There are two types of sprayed-foam insulation: open-cell, and closed-cell. Closed-cell is most effective, but it is also more expensive. Open-cell, while cheaper, should not be used below ground level because it could absorb water. Before you buy any insulation, get an energy audit to determine what kind of insulation you need where, and at what R-Value. Many utility companies offer free or low-cost audits, or you can use this simple DIY audit tool. You might be able to lay down batt insulation, but you’ll probably need to use the help of a contractor to for the blown-in foam. Check with your local utility company about any rebates they offer to help offset the cost of insulating your home. Many counties and states offer tax credits for insulating your home, as well. The Department of Energy provides detailed information on most types of insulation you might consider.